It's been a while since I've gone all shabby and vintage on you isn't it? I was missing it, and I really wanted to use these flowers on something! This card is for a new sketch challenge to me, Sweet Sunday Sketches. These are designed by Karen Giron, the lovely lady who makes cool watermarks too! You can fin this SSS56 here and see the sketch below as well. 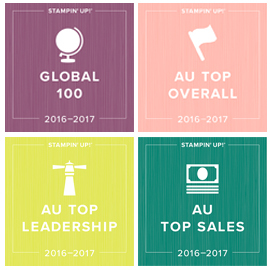 I think the Stampin' Up! Sincere Salutations set really suits this style of card and I LOVE how the wide oval punch fits those greetings so nicely. I really enjoyed this sketch and will definitely be using it again. Thanks Karen! Is it just me or is there TONS of sketch challenges out there now? I am not complaining though as I absolutely love to be inspired by a good sketch. I've done a couple this week and I'm hoping to get through a few more. Today I am showing a card that was inspired by Splitcoast Stampers Sketch SC267. I have used Stampin' Up! 's Occasionally stamp set that I got for half price in the recent Inventory Sale. It's got tons of sweet little images which are great for using with our punches. In this card I have used the 1" circle punch, 1 1/4" circle punch and one of my favourite Stampin' Up! punches the Curly Label punch (if you want tons of ideas for using this, sign up for my newsletter in the top right column - this is the feature article in the newsletter this month). I hope you like this sketch too. Don't forget to sign up for the newsletters for some great punch inspiration! Time for the second scrapbooking challenge I am sponsoring over at my teams scrapbooking site, Stampamemory. This one is SAM Creative Challenge Number 4. This is called the Black and White Challenge, and I want you to create a layout using one colour (but you can use different shades of the colour), and only black and white besides that. You have until midnight on the 28th February to upload your layout and be in the running for the black and white prize: A clack Stazon ink pad, a Stampin' Up!White craft ink pad, and a white signo gel pen (prize only available to Australian residents). To inspire you, here's what I came up with. I was inspired by Tanya's idea to use the Vintage Labels set as journalling blocks on the page she did earlier in the week on Stampamemory. I've had the concept of this layout in my head for a while and I loved getting it down on paper. All about me scrapbooking is my favourite type of layout. I even enjoyed getting the sewing machine out on this one to create the grid! I also realised I missed one of the little notes - must find that! That one said 'Sometimes it's OK just to BE'. You should be able to read the others by clicking on the layout. This layout marks my last one as an actual member of the design team for Stampamemory. When I established the site, my goal was to get it up and running and pass it on to other interested members of the team to keep going, and I think I have achieved that with all their hard work too of course! 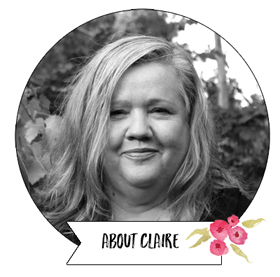 There's a fabulous group of my team members regularly doing layouts for the site, coordinated by Tanja Westwood. My place on the design team will be taken by my lovely downline Nikki Sadler. If you pop over to Stampamemory now, you will be able to see Nikki's first layout and also see what the other girls have come up with for this challenge. I''' be entering the challenges and popping in a guest layout here and there (if they'sll have me) so you will still be seeing lots more scrapbooking from me. You better grab a cuppa for this one - I have lots to show and tell (I needed a couple of cups of tea just to write it - waving to my English friend Kerry as I write that :) ). I've been busy with some male cards over the last couple of weeks, many inspired by my fab friend Nicki Tidbold who has 3 sons and is always inspiring us with her male goodness. Check out Nicki's blog, her cards and scrapbook pages are awesome. This first one was inspired by card Nicki gave us as a swap at Palm Cove. I LOVED how she used the reef knot between the jumbo eyelets (even though I had to google it and mine still didn't look like hers, lol). I white embossed the image from Seaworthy and really liked how that turned out. The colours are Kiwi Kiss, Not Quite Navy, Baja Breeze and Whisper White. This one just uses some patterned paper (Urban Garden DSP) and an embossed image from On Your Birthday. For this one I have used the surfing image from Seaworthy, and more of the same DSP. This last Stampin' Up! male birthday card uses Urban Garden DSP again, and lots of circles using my Circle Scissors Plus. I also did some paper piecing on the surfboard and shorts. Again this one was inspired by some Nicki recently had on her blog in red and grays. Thanks for all the inspiration Nic! Next up I have my Valentines card for hubby. Yes I know I sometimes complain about him (you can stop laughing now Christine!) but in reality he is a fabulous husband and father who loves me, shares the parenting of our gorgeous but very active boys (he's off out now taking the boys to the Museum, they were so excited), knows I need some me time and helps me get it, does his fare share of the housework and cooking (OK, sometimes more, lol) and thinks my idea of going on an overseas trip next year with my Mum and Sister to visit our scottish relatives is a great idea. So I wanted to remind him how much I love and appreciate him by making him this card. This card was based on a sketch over at Card Positioning Systems, CPS 153. More Free Tutorials to You from Me! I wanted to let you know I have added more tutorials to my page where you can download them for free. This includes the written instructions for the neverending Card / Valentines mini book I did as a class last year called '10 Reasons Why I Love You'. This ad shows some images from the finished project - the actual class isn't running again though, so just ignore the text as that was last year! The freebie tutorials (and there's a few different ones now) are here on my blog. Let your friends know about them too! Don't forget you still have until tomorrow night to upload your layout for SAM Creative Challenge #3, and be in the running for a free heart punch of your choice. You just have to create a layout using the word LOVE. The next challenge will go live Monday morning, and I will announce the winner that day too. We have 10 entries so far and I would love to see some more before tomorrow night! While I'm on the subject of stamping on your scrapbooking layouts, you have to check out this absolutely amazing stamped layout that Tanja Westwood has just uploaded to the Stampamemory site. I have to say it's the most amazing stamped layout I think I have ever seen. Tanja is so talented, you must check out her work. Well I think that's it from me today. If you made it this far, it might be time to get up and stretch your legs and enjoy the fabulous day ahead. Our team forum holds a monthly colour challenge (along with a few others) and this month the lovely Miriam Thomas set the challenge using a couple of lovely home decor pictures, one bright and the other more natural. I decided to build up my supply of love note cards. I love these handy little notes with matching envelopes. You can find them on page 131 of the main catalogue. You get 20 cards with matching enevelopes for $13.50 (10 each of Very Vanilla and Whisper White). I find these cards the perfect size for tucking in with gifts for my downline or parcels to customers. and here is the natural colour combination: Very Vanilla, Sahara Sand (Kraft), Chocolate Chip, Taken with Teal and Very Vanilla. If you would like to grab some love notes, give me a call on 03 97352946 or email me and I'd be happy to help you. Saleabration is still on with great specials!